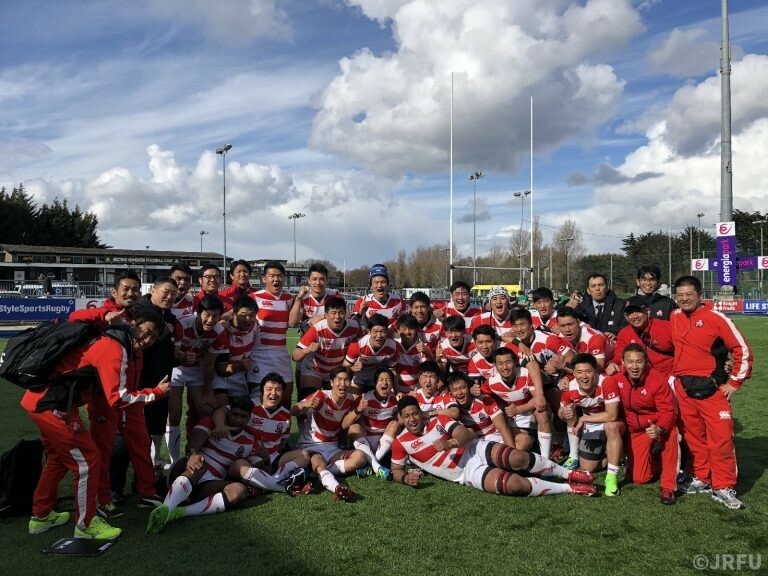 In the final game on tour, Japan High Schools had an emphatic 40-24 win over Ireland U19s at Donnybrook Stadium in Dublin on Wednesday, 28 March 2018. In the opening game on tour, Leinster U19s beat Japan High Schools 38-31 on Tuesday while Ireland U19s won 40-29 in the first test on Saturday. Japan High Schools turned the tables in the second test to end their tour on a high. Japan High Schools outscored Ireland U19s six tries to four in their win. No8 Asipeli Moala bagged a hat-trick of tries, right wing Ryosuke Kawase picked up a brace and flanker Kai Yamamoto crossed for the other five pointer. Inside centre Itsuki Kodama finished off the scoring with five from six conversions. Japan High Schools 40 – Tries: Asipeli Moala 3, Ryosuke Kawase 2 and Kai Yamamoto; Conversions: Itsuki Kodama 5. Japan High Schools: 1- Ryunosuke Momoji, 2- Mamoru Harada, 3- Kotaro Hosoki, 4- Asaeli Lausii, 5- Shu Yamamoto, 6- Sioeli Vakalahi, 7- Kai Yamamoto, 8- Asipeli Moala, 9- Ren Iinuma, 10- Atsushi Oshikawa, 11- Keita Inayoshi, 12- Itsuki Kodama, 13- Tomoki Osoda (c), 14- Ryosuke Kawase and 15- Halatoa Vailea. Reserves: 16- Kosei Yamamoto, 17- Kaito Doichi, 18- Kota Kamimori, 19- Hiroki Kiyohara, 20- Shin Takeuchi, 21- Kaisei Tamura, 22- Rintaro Maruyama, 23- Lee Seung-sin, 24- Hiroki Kumoyama, 25- Otoya Kihara and 26- Reiya Ueyama.